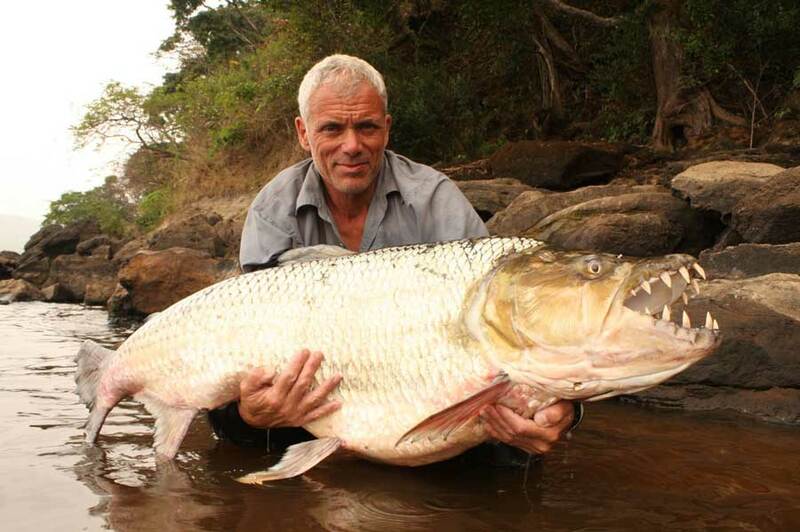 This week, I interview Jeremy Wade, of “River Monsters” fame. You may remember the episode where he caught a huge arapaima on an Orvis H3 and Mirage reel. He doesn’t always use a fly rod, but he does enjoy everything from those giant fish in exotic locations to a small wild brown trout river near his home in the UK. We talk about lots of things other than river monsters—what he enjoys about fly fishing, how he stays in shape for fighting those beasts, and about the pleasures of getting to know a water intimately instead of the pressure of having to produce for the camera. He has a new TV show and a book coming out soon—you’ll learn all about them on the podcast. What is the difference between wild, native, and holdover trout? How do I get small beads on hooks when they don’t want to go over the bend? What is the correct way to “haul in a fish”? Will upgrading my rod make me a better angler? Would it make sense to overload my 8-weight rod for pike and musky with a 9-weight line to throw those bigger flies? What is the best way to collect insects from my local river for reference? Who are some older authors you recommend for pleasure reading? Can I use my “saltwater” fluorocarbon leaders in Alaska? What things currently restricted by the rules of competitive angling would competitors use for their own fishing? And finally, yet another great tip by a listener on how to keep Thing-A-Ma-Bobbers from slipping on thinner sections of leaders . Bummer I could not get the lip to play. Guy guy and company and hope you can fix it soon. I really enjoyed this podcast. Would love to see an episode of Tom and Jeremy fishing together. And I would be willing to be their gillie.